A lawn typifies the traditional English garden. 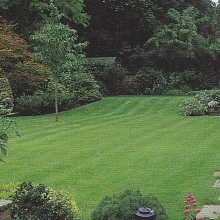 Whether it is a stretch of hard wearing grass used by the family at weekends, or an impeccable striped green sward, it provides an open space to give life to your garden, unifies the types sections and provides a foil for the colourful borders. Keep it simple Sharp corners and complicated edges will deteriorate quickly; the more straightforward the shape of your lawn, the longer it will last. making a path from the place where your mower is kept to the lawn and put in edging to avoid mowing border flowers. Give it on edge: Edging your lawn helps to define paths and flower beds and keeps the whole effect neat and easy to maintain. Traditionally, edges were made of terracotta rope work tiles or bricks, but any suitable materials can be employed, from reclaimed building timber to log rolls. but avoid very wet, dry or cold spells. or provide different colours and textures. You need a mixture of different seeds to get an even lawn. Seed is usually sold ready-mixed, but make sure you shake it well before sowing to ensure an even spread. When to sow a lawn: The best time to sow grass seed is in autumn, when it can germinate and establish without competition from weeds. In mild regions, you can sow until the middle of November. Germination will be slower in spring as the soil is colder, but you can sow in March if the soil is moist and warm enough, and the air temperature has reached 10'C. If you wait to sow in the summer months from June to August, the seed will not be able to cope with the dry weather unless you water it with a fine rose once or twice a day. Check the seed packet to see how much seed you should sow as different mixes have different rates of coverage. 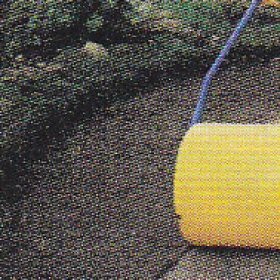 Mix with sand for even coverage and use more around the edges of the lawn, where it should be denser to cope with extra wear. containing nitrogen, phosphorous and potassium. You can sow seed with a machine with a grass seed hopper, or by hand. Either way, scatter the seed evenly half in one direction and the other half at right angles to this. If sowing by hand mark out your site into equal areas and weigh out how much you need per section. 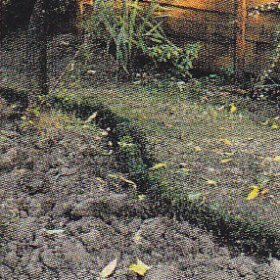 After sowing, rake the surface lightly. If the weather is dry, water the seed regularly to help it to germinate. Once the newly sown grass has reached a height of 5cm, cut it with a rotary mower with the the blade set to 2.5cm. This will encourage sprouting and thicken the grass. For a fine finish: Grasses such as bents (Agrostis) and creeping red fescue (Festuca rubra rubra) are remarkable for their fine foliage, and form an attractive dense lawn. They can be mown frequently to the shortest setting on your mower. Grass Path and play area: Ryegrass (Lolium perenne), tall fescue (Festuca arundinacea), Kentucky bluegrass (Poa pratensis) and yellow oatgrass (Trisetum flavescens) are reasonably disease and pest resistant and hard wearing. Perenneial ryegrass grows quickly and stays green in winter. Grass for dry sites: Use hard sheep fescue (Festuca ovina), creeping red fescue (F. rubra rubra) or Chewing's fescue (F.rubra-commutata). In summer, creeping red fescue remains green the longest. Grass For partial shade: Ryegrass , creeping red fescue or rough stalked meadow grass (Poa trivialis) can cope with some shade, although no grasswill grow in complete shade.